VA managers are punishing whistleblowers in the ranks via demotions and manipulation of medical records, among other means, according to testimony delivered by the staff during a House Veterans Affairs subcommittee hearing. Employees at the Department of Veteran Affairs testified that their efforts to shed light on problems inside of the administration resulted in personal acts of retaliation against them. Special Counsel Carolyn Lerner on Monday delivered prepared testimony at the subcommittee hearing, revealing how VA managers accessed the medical records of whistleblowers in an effort to tarnish their reputations. One such VA employee, Brandon Coleman, a Marine Corps veteran who works at the VA office in Phoenix, Arizona, said someone illegally entered his medical records after he publicized the failures of his department to adequately handle veterans with suicidal tendencies. He said that after his whistleblowing activities began, the condition of his mental health was questioned by his bosses, while there were threats to lower his disability rating. “I feel strongly that this proposal to reduce my benefits is nothing more than an additional retaliation against me because I came forward as a whistleblower,” he told TheBlaze last month. Dr. Christian Head, who works in the Los Angeles VA, described how he was punished after issuing complaints about internal practices, such as the batch deletion of patient appointments. "Moving me to a storage bin makes me feel bad, but they are sending a message," Head said, as quoted by CNN. "They are trying to intimidate. They are trying to suppress [whistleblowers'] willingness to try to make a better life for these veterans. 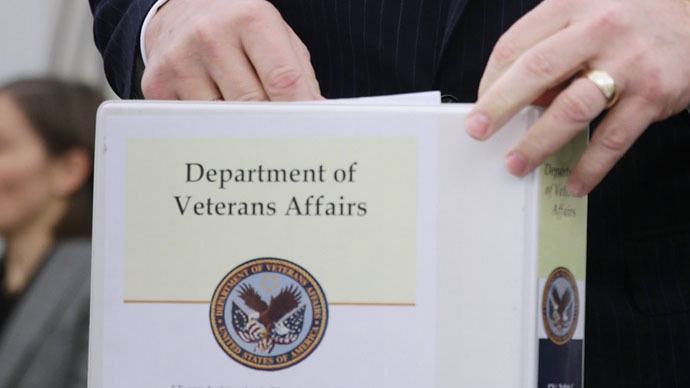 The issue of VA administrators punishing staff members who attempted to draw attention to problems inside the agency go back to at least 2010, when the Pittsburgh Tribune-Review reported that a VA official believed her superiors had accessed her medical records. That report unearthed more than 14,000 privacy violations at the Pittsburgh-based facility. The Monday hearing indicated that the VA’s ‘culture of retaliation’ against whistleblowers continues to this day. “I reiterate today … that the department has had and continues to have problems ensuring that whistleblower disclosures receive prompt and effective attention, and that whistleblowers themselves are protected from retaliation,” Meghan Flanz, director of the VA’s Office of Accountability Review, told the subcommittee. The VA's Office of Accountability Review, established in 2014 to promote leadership accountability within the department, is currently handling 80 cases, of which 15 involve whistleblower retaliation, the office's Director Meghan Flanz said Monday. However, Flanz said only three senior VA managers who punished whistleblowers have been fired. "VA is still working toward the full culture change we must achieve to ensure all employees feel safe disclosing problems," Flanz told the committee.